The project involved the design and construction of 5 Management Lots for a mixed use development. 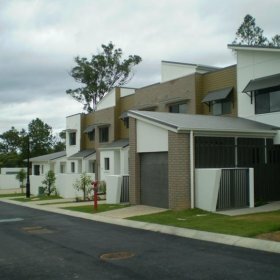 Development then led on to the construction of the civil works for 86 fully integrated townhouses and a four lot subdivision on two of the management lots. 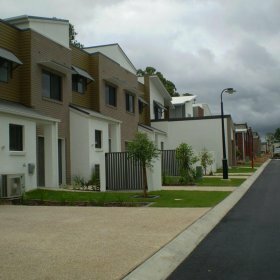 The Development Application was referred to Queensland Transport and Department of Main Roads for works involving an underground detention system, and extending sewer and stormwater pipes through a busy arterial road. Detailed negotiations were held with Council and the State Government Agencies to achieve a practical, economical and mutually beneficial outcome. 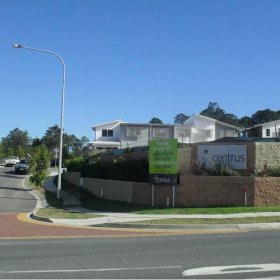 Centrus was a joint winner of the Medium to Large Density Development category at the 2011 UDIA (QLD) Boral Awards for Excellence. Detailed design of roadworks, stormwater drainage, stormwater detention tanks, roofwater drainage, sewer reticulation, water reticulation, erosion and sediment control and building hydraulics. Obtaining acceptance of the works ‘on maintenance’ and ‘off maintenance’ by Council.